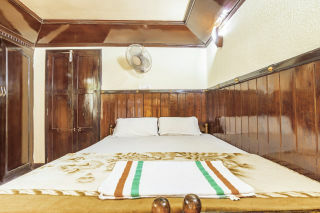 This is an offering of a one-bedroom houseboat, ideal for travellers who want to avoid the claustrophobic city accommodations and enjoy a peaceful vacation. 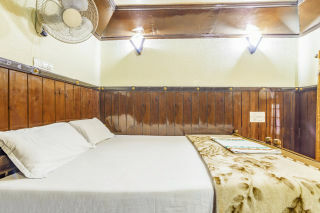 The houseboat can accommodate up to four people which is perfect if you are travelling with a couple of friends. 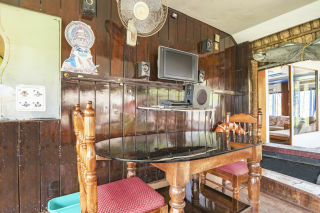 The houseboat flaunts a rustic façade, highlighting the art of woodwork used in curating these beautiful masterpieces. The partially covered sitting area at the front of the boat lets you enjoy a good meal with your loved ones, while admiring the water expanse. 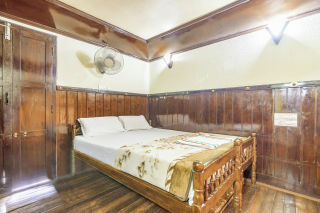 Furnished with cane chairs along with a glass-topped coffee table, it is well-equipped for convenience. There is ample seating arrangement to accommodate the guests. 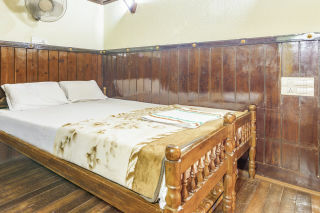 The property exhibits extensive wood work, which is also present in the form of partially wood-panelled walls of the bedroom. 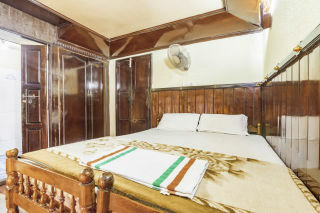 The room is furnished with a dresser, a comfy bed, and a room fan for additional convenience. 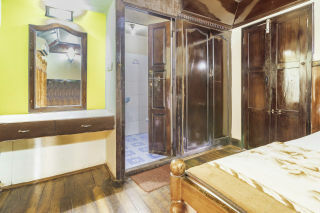 The bathroom is functional and fitted with western sanitary ware. Chingavanam Railway Station is approx. 39.4 km away. Cochin International Airport is approx. 84.2 km away. Alappuzha KSRTC Bus Stand is approx. 600 m away.